Lyft, Uber services • City contends they essentially are unlicensed taxi companies. Chris Detrick | The Salt Lake Tribune Angie Palmer poses for a portrait with her car in Midvale. The college student earns some money by driving for Lyft, but says she has been slapped with two $6,500 tickets by Salt Lake City. The city claims the drivers are violating city taxi ordinances, while the company and drivers say they are offering ridesharing services that aren't covered by the regulations. Chris Detrick | The Salt Lake Tribune Angie Palmer poses for a portrait with her car in Midvale. The college student earns some money by driving for Lyft, but says she has been slapped with two $6,500 tickets by Salt Lake City. The city claims the drivers are violating city taxi ordinances, while the company and drivers say they are offering ridesharing services that aren't covered by the regulations. Chris Detrick | The Salt Lake Tribune Lyft is a ridesharing company that is being targeted by Salt Lake City on allegations it violates city taxi ordinances. 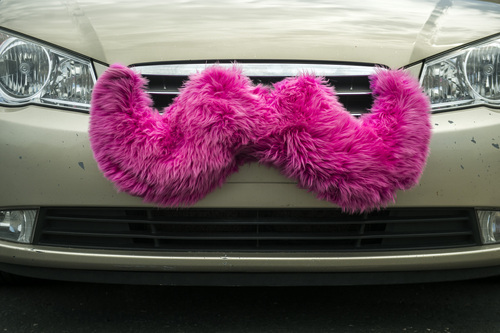 The company -- which contracts with drivers using their own cars tagged with the distinctive pink mustache -- is fighting the capital's attempt to crack down on the service. New high-tech ridesharing services like Lyft and Uber say they are cheaper than a taxi, quicker and friendlier. But Salt Lake City contends they essentially are unlicensed taxi services and is cracking down by issuing expensive tickets to drivers. "I received two tickets, for $6,500 each," says Angie Palmer, a college student and Lyft driver. Fellow Lyft driver Amanda Wardell, a single mom who drives for extra money, said "it was pretty intense" when she saw her own ticket for $6,500. "I haven&apos;t made that much driving for Lyft, so there aren&apos;t words to describe how it felt to see that." The city uses "secret shopper" tactics to ride on Lyft or Uber, then later sends a ticket by registered letter to drivers. David Everitt, chief of staff to Mayor Ralph Becker, said the city has issued 118 citations to such drivers; all but 17 were warnings with no financial penalty. Everitt said the city has warned the firms that "if you are someone making money providing a ground transportation service, you need a ground transportation license. That&apos;s the way it&apos;s always been in the city." He adds that enforcement keeps a level playing field between the new companies and older taxi and shuttle services. Meanwhile, Lyft is fighting the tickets, contending it is different than a taxi service and is not covered by current laws. Lyft is providing an attorney for drivers and says it will pay any final fines for them  as it has elsewhere nationally when other cities have similarly challenged the company. 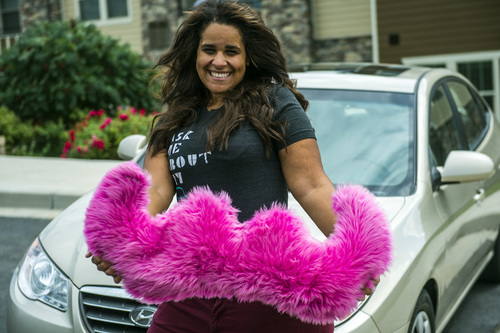 "We will continue to stand strong with drivers and passengers every step of the way, fighting any citations, covering relevant costs and making policy," said Lyft spokeswoman Katie Dally. How it works • Lyft and Uber provide smartphone apps to connect people who want a ride with nearby drivers who use their own cars. Riders can see how others have rated the driver, what they will charge and when they will arrive. Drivers in turn can see how colleagues have rated the rider. All payments are made through the online app. The companies do background checks on motorists and reject those with poor driving records or serious criminal backgrounds. They provide $1 million in insurance. The companies keep 20 percent of the fare, but say the driver is the one providing the service. "Current regulations surrounding taxis and limos were created long before anything like Lyft&apos;s peer-to-peer model was imagined," the company&apos;s Dally said. 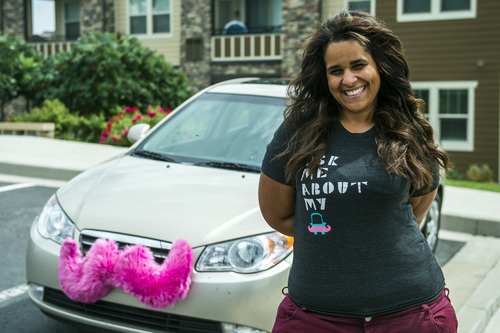 Unlike taxi companies that own cars, Lyft allows "community members to put their own vehicles to use to provide rides to others. This is not using employee drivers or employee-owned vehicles. They all use their own vehicles" and are independent contractors generally only driving a few hours a week, Dally said. Lyft supports regulation, she said, but its own policies often exceed insurance and other requirements set for taxis. License needed? • Dwayne Baird, spokesman for the Utah Department of Public Safety, said that as far as state licensing is concerned, drivers for the peer-to-peer companies need only a regular driver license. "It&apos;s no different than if you were to pick up your son&apos;s baseball team in a car pool," with no need for a commercial or chauffeur license, he said. "The only difference is that if you promote commerce, then you need a [local] business license to operate in that commerce." Everitt said it is clear under Salt Lake City ordinances that "if you are making money driving on the roads, you need a ground transportation license." However, he said, the mayor&apos;s office plans to propose some changes to the City Council to make life easier for the companies, such as removing a requirement "that unless you are a taxicab company, you have to charge a minimum of $30" and arrange rides at least 30 minutes in advance. Salt Lake City still plans to require individual Lyft or Uber drivers to be licensed by the city. "We want to make sure that people are insured," he said, "and they have a vehicle that meets our safety standards," like taxi or shuttle drivers. The city wants the new companies to succeed, but live by the rules, Everitt said. "The city really wants to welcome these kinds of services. I think they are going to be a great addition to the ground transportation options in our city." Undue regulation? • Connor Boyack, president of the Utah-based Libertas Institute, which opposes undue government regulation, suggests that is exactly what Lyft and others face from Salt Lake City  and notes his own experience using Lyft has been better than any taxi ride he has taken. "We would think it silly for horse-and-buggy companies to have fought off their vehicular competitors a century ago," Boyack said. "Government policy should encourage progress, not fight it through fines and antiquated regulatory systems." Boyack said when he recently tried Lyft, he sat in the front seat as the company expects. He gave the expected fist bump to the driver, who he said was outgoing and friendly. He knew the company had put the driver through a background check, and the driver and Lyft had Boyack&apos;s name, phone, email and credit card number from the online app. "Lyft and Uber provide insurance policies, conduct inspections, and have rating systems so that both passengers and drivers can be informed about who they are getting in the vehicle with and create trust," he said. "With the taxi model, you have to trust a bureaucrat that they have vetted a driver that you don&apos;t know." Boyack adds that after he blogged about Lyft and Uber, some legislators contacted him and expressed interest in legislation to help the companies. Palmer, a driver, said Lyft offers other advantages. "I can&apos;t tell you how many people I&apos;ve talked to who said they had waited an hour or two for a taxi that never came because they were all busy, and so they decided to try Lyft. We arrived quickly." Both Palmer and Wardell say they have never had a problem with any rider  perhaps because Lyft has information on them. "Everyone I have picked up has been friendly and cool," Wardell said. "We have the option not to pick up anyone, or to end a ride anytime since we are giving rides in our own car." National topic • The issue is not just limited to Salt Lake City. It is becoming a big political issue nationally, fueling debate on whether government regulation is blocking innovation. Even Sen. Mike Lee, R-Utah, referred to Uber in a Senate speech, saying a radical change he seeks in transportation funding wouldn&apos;t hurt infrastructure any more than Uber has hurt car services. On Wednesday, the Republican National Committee launched a petition to support Uber, saying "taxi unions and liberal government bureaucrats are setting up roadblocks, issuing strangling regulations and implementing unnecessary red tape to block Uber from doing business in their cities." In Virginia in June, Lyft and Uber were served with cease-and-desist orders. Miami has been conducting undercover stings with fines up to $2,000 and impounding cars. The companies were stalled from launching in New York City for weeks, but finally worked out agreements with the city and state late last month. In June, Colorado became the first state to have a law specifically recognizing and allowing ridesharing  after 100 cabbies earlier this year pulled up outside the Colorado Capitol this year to protest such companies.